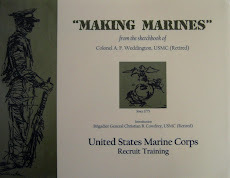 A Colonel of Truth: THE MARINE CORPS - FOR HOW MUCH LONGER? 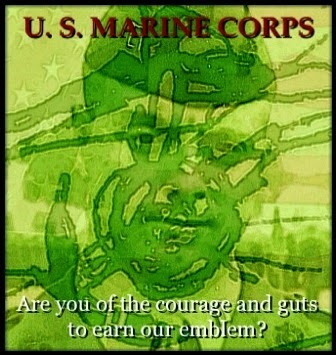 THE MARINE CORPS - FOR HOW MUCH LONGER? There's no need to recap the ongoing heated debate about women in ground combat. The argument has been exhausted from every conceivable perspective. 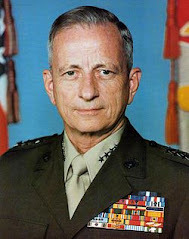 More than 24 years ago an old general, the 27th Commandant of the Marine Corps, testified he believed, based on his 41 years of service that included command and combat experience in three wars, that if persisting to push women into the ground combat specialties, to include the infantry, it'd destroy the Marine Corps - simple as that - something no enemy has been able to do in more than 200 years. That was the sentiment of General Robert H. Barrow, USMC. Our sitting president, through proxy secretaries touting strength through diversity by assigning women to all ground combat specialties, is determined to destroy the Marine Corps. The wisdom of a battle-hardened, decorated warrior trumps an agenda-driven failed president. What is today's Corps missing? A leader - one who will speak straight truth and act at own peril. And like minded. It dawned on me early this morning, speaking of trumps, there's no Donald Trump type wearing stars in the Marine Corps (nor other branches) and that's too bad. The leading candidate for president, Mr. Trump is proving Americans are hungry for truth and leadership. So, too, are Marines. For the words "Marine Corps" will not be the Marine Corps. To date, the silence is deafening - a sad testament to the General Officers' ranks within the Marine Corps. Where is the moral courage and outrage? Are they so concerned about their positions and retirement benefits that individually and collectively they will, by their own inaction, contribute to the demise of the finest fighting force known to man? As you say, Andy: "Good grief!!" We have Rep Duncan Hunter doing our fighting for us now and not our generals. That is sad indeed. Don't let that halfwit in our White House intimidate you. Muster every pro Marine supporter to start flooding the newspapers with supporting the Marines against harebrained ideas from Wadhington. Didn't we have a secretary of Defense, who when he saw the Stars and Stripes raised on Iwo Jima say that the Marines will be with us for 500 years! Hang tough! Only sixteen more months until we flush the White House!